CLEF is in need of mentors. Support Education by purchasing or renewing your Support Education specialty tag. $20 goes directly back to support public education. Our mentors know (almost) everything. Make a Difference Today! Sponsor the cost of a college scholarship for one of our students. Your Tax-Deductible gift will have an immediate impact in our community. Helping Charlotte County students reach their full potential is what the Education Foundation is all about. We bring resources and people together to support and enhance education for our students. Through financial resources, mentoring, and goal setting, we are helping young leaders improve the world around them and building a stronger community for all of us. Imagine a student discovering their true talents. Imagine all of our students walking across the stage to accept their high school diploma and their college degree. Imagine you being a part of making this happen. Through your generous financial support, your time spent mentoring and shaping a student, and/or enlisting other community members to help, we can make our imaginations come to life with true success stories, one child at a time. 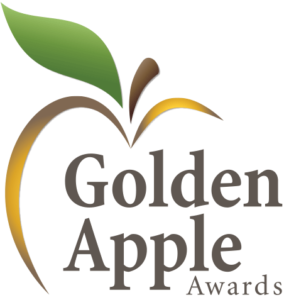 Congratulations to our 2019 Golden Apple Award Recipients. Congratulations to Andrea Green, Teacher of the Year, and Christy Buzzell, Support Employee of the Year. Thank you to everyone who attended to honor all of our finalists, and a special thank to our sponsors! A COPY OF THE OFFICIAL REGISTRATION AND FINANCIAL INFORMATION MAY BE OBTAINED FROM THE DIVISION OF CONSUMER SERVICES BY CALLING TOLL-FREE (800-435-7352) WITHIN THE STATE. REGISTRATION DOES NOT IMPLY ENDORSEMENT, APPROVAL, OR RECOMMENDATION BY THE STATE. CHARLOTTE LOCAL EDUCATION FOUNDATION, INC. REGISTRATION NUMBER: CH2190.